The number of people suffering from diabetes is increasing all over the world. 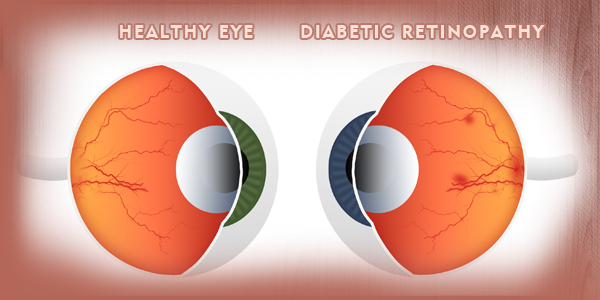 This disease can also have an impact on the eyesight of a diabetic person. Many times, it is difficult to detect this disease and as such it goes untreated. Thus, it is very important to go for regular examination. At MMRV Hospital, Chennai, we have a team of ophthalmologists and optometrist who examine the eyes of the patient in a thorough manner. There are a range of non-laser and laser treatment options available for diabetic eye disease. Depending on the severe changes in eye and the vision problems suffered by a patient, a treatment option is chosen. As mentioned above, this disease is caused due to diabetes. In this disease, the retina which is sensitive to the light in the back of the eye gets seriously affected. With the progress of this disease with chronic high levels of blood sugar, the retinal tiny blood vessels undergo changes making them bleed. This problem needs immediate treatment as if it out of control, it cannot be corrected with contact lenses or eyeglasses. Visit MMRV Hospital in Chennai, one of the renowned health service providers and get your eyes checked to rule out any possibility of getting afflicted by this problem.